If you’re new to motherhood, you probably feel hopeless in your attempt to make sure you check all the essential products and accessories babies need. Mothers are obsessed with reading special baby books and looking at several websites in search of tips and ideas that are mandatory for raising a baby. Because you want everything to be perfect, you might find the entire process a real hassle. Knowing what items to get and which one is more suitable for a certain age might be a challenge. You should get strictly top-notch quality products that are beneficial and safe for the baby. Given the large number of baby stuff you can find on the market, you must be careful not to purchase something that does not comply with a child need of safety and comfort. If you want to choose some cool baby accessories but don’t know for sure how to get the process started, let our team of experts lend you a helping hand. They’ve already done their research, and all information is based on aspects such as product utility, extra features and personal style and preferences. Take a look at these lines and learn a few tips that you can use when searching for great accessories for babies. From diapers, baby bottles, baby blankets, to strollers and slings, there’s an entire universe of products for sale that mother can use to ease their parenting job. The best part is that the features showcased below are a lifesaver if you use them in your next shopping adventure. When the baby is born, you realize that you don’t have much time for shopping interesting items. Between feeding and putting your baby to sleep, the last thing on your mind is to go and spend time purchasing different objects for your baby. There are ways to ease your condition if you learn how to make smart shopping decisions. For example, some basic products and accessories are needed all time. You don’t buy only one pack of diapers when you know they’re indispensable. You should opt for large quantities and save precious time that you can use for relaxation. A lot more convenient and economical is to check for items that are versatile and practical. There are many strollers on the market that can be converted into a car seat. This way, you get two products in one. The money you save you can use for getting a heavier stroller that is more suitable for long walks, while the lightweight one stays in the car. We all know what magical power swaddling blankets have on babies. Thanks to their ability to mimic the same environment from their mother’s womb, newborns feel safe and comfortable. Therefore, get as many as possible and make sure you have one in your house, your bag or your car. Baby wipes are good baby accessories because they are practically used at everything. Just like having a pack of chewing gum you should have baby wipes in every bag that you own. Moreover, put a pack in the bathroom and car. 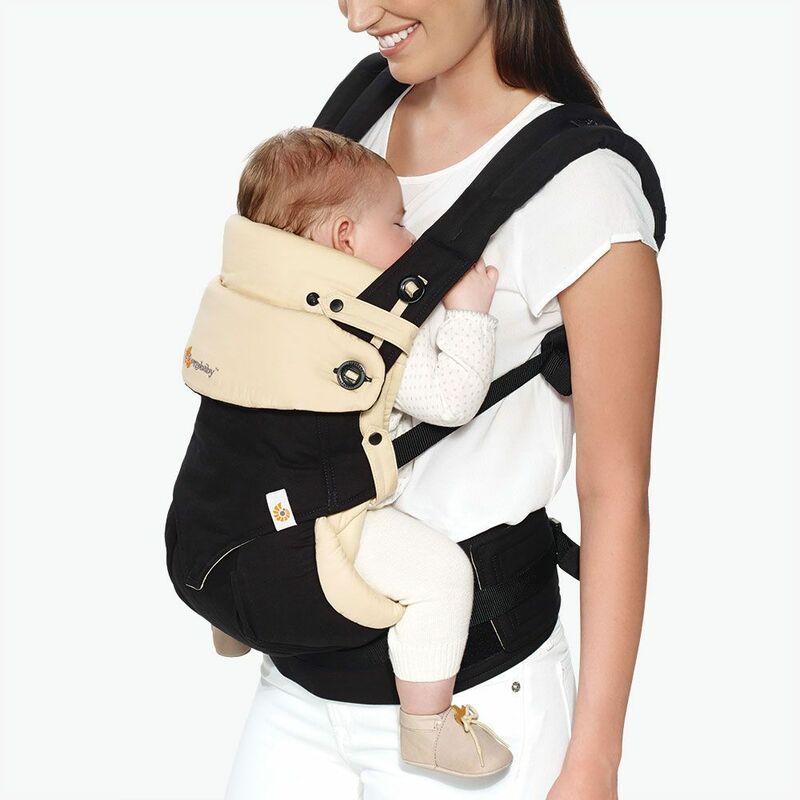 In your search for quality baby accessories, you shouldn’t overlook the gadgets that are wonderful innovations parents can use to fulfill their responsibilities faster and easier. If you’re constantly preoccupied with your child safety, a bulb syringe shouldn’t be missing from your medicine cabinet. It’s extremely useful when your baby shoves bits of foods up his or her nose or for cleaning a stuffy nose. Although not fun to use, they too have some utility that cannot be overlooked. We all know how nasty it is to have to change your baby on the go and not have a proper garbage bin to throw the used diaper. Fortunately, there is a special pail where you can put it without having to worry about bad smells. Due to the sealed lid, it is kept inside until you have the opportunity to dispose of safely. According to the best baby accessories reviews, it is extremely important always to have your eyes on the baby, even while driving the car. Because small children sit in the car seat in reverse mode, you won’t be able to see your precious one’s face unless you get a back seat mirror. This cool accessory is easily attached to your car interior, and it’s great because babies actually love looking at themselves in the mirror. Babies need as much sleep as possible in order to grow healthy and beautiful. If your little one has trouble sleeping, you can slip a vibrating mattress pad under the baby’s mattress. The soothing vibrations created by this device ensure a nice and quiet sleep. Parents want to feel their babies close even when they’re not present in the nursery room. An intelligent baby monitor allows you to hear and talk to your baby while putting a nightlight in their nearby as well as some lovely music, straight from your smartphone. When preparing your baby’s bath you should get a special thermometer to ensure that the temperature of the bath water is perfect for your precious baby. One of the best baby products for newborns is undoubtedly the baby swing. The main reason they’ve gained so much popularity is that they allow the parents to do their house chores while their baby is quiet and entertained. Believe it or not, there are swings on the market that come with many smart features such as MP3 players and self-rocking mechanisms. You must guard your baby day or night, even if you’re not at home and the baby is left with a relative or with the nanny. Therefore, you should consider a cool baby monitor that streams HD video to your smartphone and notifies you when the baby has changed position. These kind of units are lightweight and portable. Plus, you can place them everywhere inside your house. Breastfeeding your baby can be tiring after a while. In order to prevent this fatigue, you should get a breastfeeding pillow that has an ideal size. Besides, you can take it with your while traveling because you’ll get addicted to using it. No mom will ever leave the house without baby tissues and diapers. It’s quite annoying to have a diaper bag that looks like you’ve packed the entire nursery with you. There’s no need to worry because there are baby bags that look so stylish that no one will ever know what you’re hiding inside.